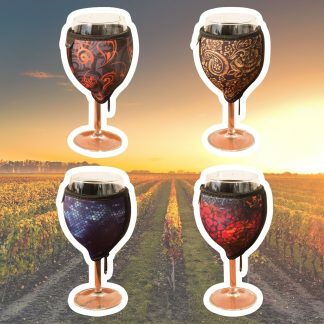 Our range of unique High Quality Neoprene Wholesale Wine Coolers, Champagne Coolers and Bottle Coolers. 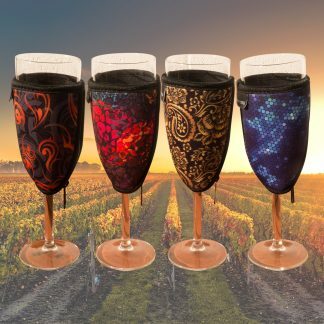 Perfect for the Wine or Champagne Lover our Neoprene Coolers will keep your drinks cool and look stylish at the same time. Wine and Champagne Coolers feature a zip for easy fitment and fit most standard sized glasses. 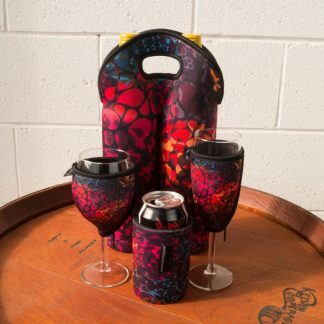 The Cooler pack also come with a handy Wine or Champagne Bottle Cooler with carry handle and a stubby or can cooler. Available in a range of designs our Neoprene coolers make for great gifts or accessories for any event.